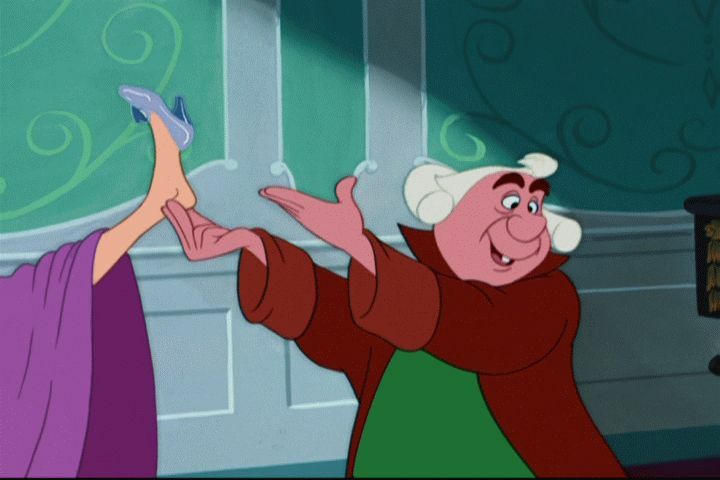 I always feel like one of the ugly stepsisters when I shop for shoes. I’m standing there trying to jam my fat feet into all these cute shoes. This is as far as I can get my foot to go. Come on people! I’m already in the size 11-13 section! My feet are only a “9” in length, supposedly. Do they not MAKE pretty sandals wide enough for my Hobbit feet?! Previous Previous post: What to do with Christmas cards after the holidays?